The past few months, I have been sharing my haircare needs, concerns and insecurities. If you follow my other social media platforms, you will be familiar with this. Now you know I am not one to leave out any of my fam, so I thought it would great to share on here too. Just to recap, I did mention prior that I wear wigs most of the time, my wigs are 100% human hair. Which means they require the right haircare products. And guys, looking after your wigs is just as crucial as looking after your natural hair. Wigs don’t produce natural oils, because they are not rooted to your scalp, this makes the more susceptible to dryness, breakage, frizz, etc. So, I battle sometimes to just keep my wigs looking healthy and revitalised. Honestly, my concerns vary depending on the texture or hair type of the hair. By texture I mean straight, wavy, curly, volume and so on. I cannot stress hard enough the importance of using the right haircare product to cater to your needs. That’s why it is just as important to identify and understand what your hair needs are. That way you are able to get products that address your concerns. I did an interview Expresso not so long ago, where I spoke briefly about the products I have been using to tackle my haircare needs. If you missed, click here to watch. 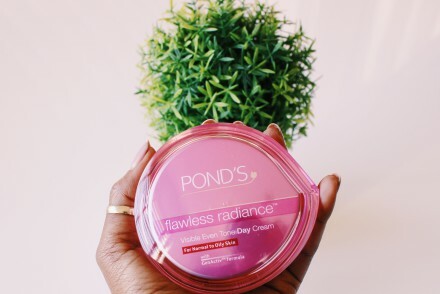 On this post I share in depth regarding the products basically revealing it all, yaaassss!! 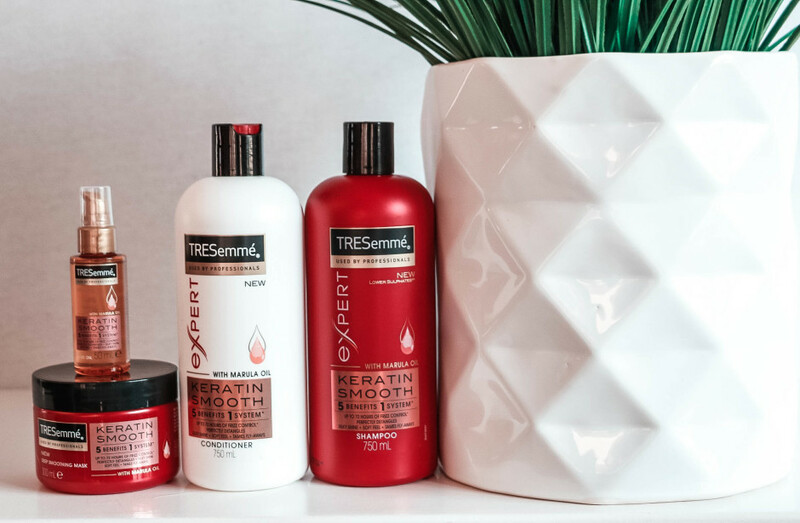 It’s been weeks now that I have relied on TRESemmé Keratin Smooth range to take care of my hair needs. The Keratin Smooth range consists of a Shampoo, Conditioner, Treatment Masque and Smooth Shine Oil. I chose this range because it spoke directly to what my hair issues were. It fights of frizz for up to 72 hours, detangles knots, boosts shine, adds silky softness, and tames those annoying flyaways. It’s also really good for my colour-treated wigs because it gently cleanses and repairs hair while giving it a vibrant finish and frizz-control. 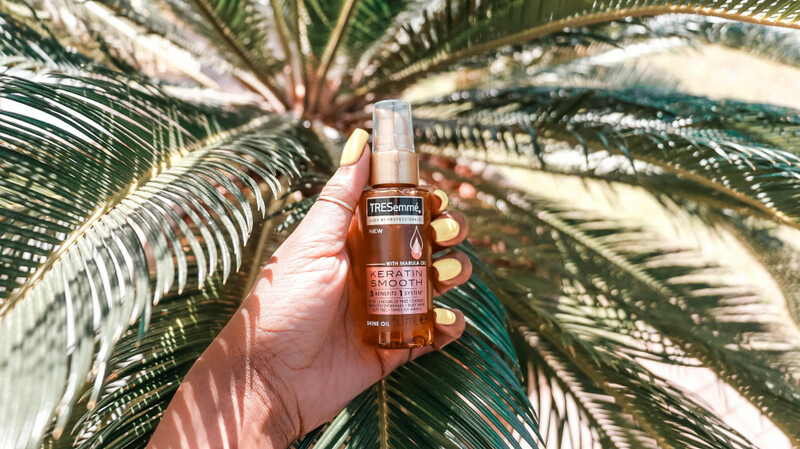 The TRESemmé Keratin Smooth Shine Oil is infused with Keratin and Marula oil for professional smoothness and movement. 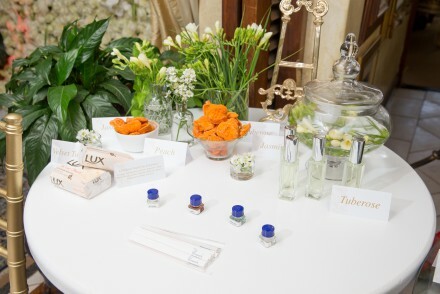 Keratin penetrates hair fibre and marula oil is known to be rich in antioxidants and smoothens hair fibre. 1. I start by gently cleansing with the TRESemmé Keratin Smooth Shampoo. This is an essential first step for a fabulously smooth style that moves with you. 2. 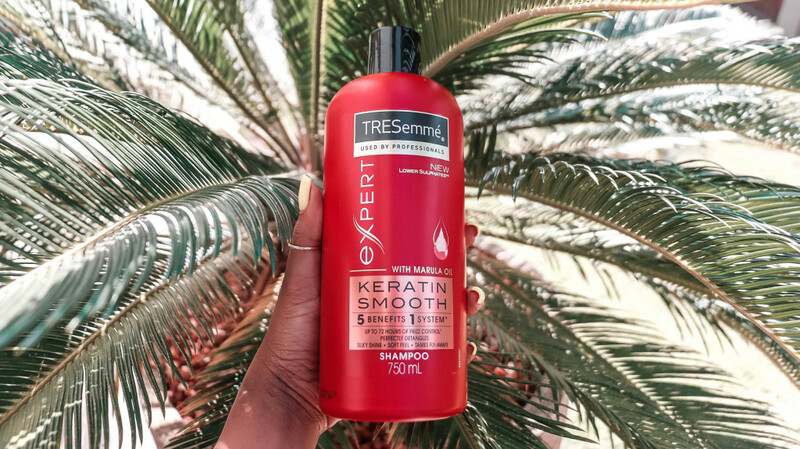 After shampooing with the TRESemmé Keratin Smooth Shampoo, I smooth a generous dose of Keratin Smooth Conditioner over my damp hair, concentrating on the mid-lengths and ends, which tend to be the most frizzy. I leave it for a couple of minutes to allow it to smooth and nourish each strand, then rinse thoroughly. For a more intensive smoothing treatment, switch it out for the Keratin Smooth Deep Smoothing Mask at least once a week. 3. 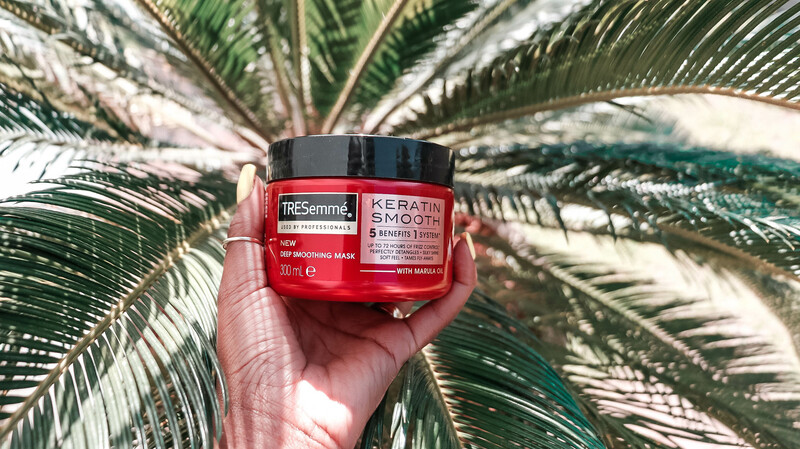 Once or twice a week, I switch out my regular conditioner for TRESemmé Keratin Smooth Deep Smoothing Mask. This intensive hair mask, with Keratin and Marula Oil, treats every strand and will smooth and nourish dry, frizzy hair, without weighing it down. 4. 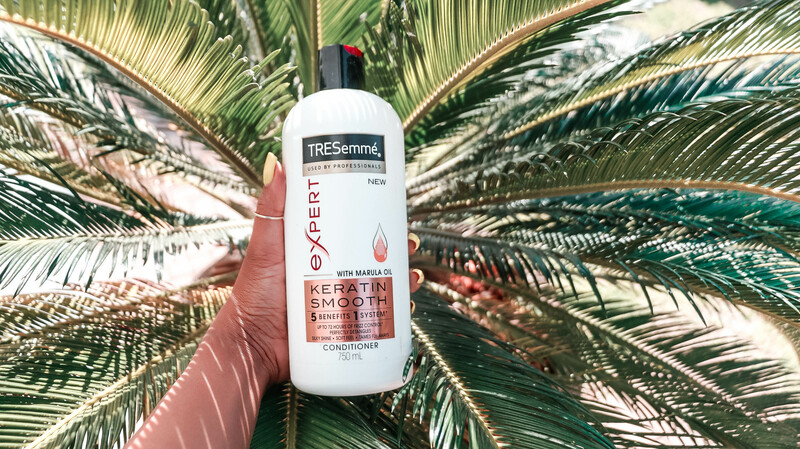 After prepping my hair with the TRESemmé Keratin Smooth Shampoo and Conditioner, I rub 3-4 pumps of Keratin Smooth Shine Oil between my palms and smooth evenly over wet hair, concentrating on the mid-lengths and ends to tame frizz. 5. After these steps, I allow my hair to airdry and then I proceed to style it. My hair does appear healthier, smoother and silkier. My confidence has been restored, I feel brand new-reinvented! I look and feel good about myself and I couldn’t be more happier about the results. I am ready to take on the world now, with my new found confidence. Haha! If you are in search of new products to tackle some off your haircare needs, I would highly recommend these products. Absolutely, do have a go at them and let me know what you think. I hope this was both enjoyable and informative. Hopefully you were able to pick up a few tips and tricks that you can incorporate into your hair routine. Please feel free to leave a comment below if you have any questions or you would like to share your haircare needs. Comment below and tell what’s your haircare secret and you could WIN your own TRESemmé Keratin Smooth hamper!! Its that easy! Should try this range soon. I wanna use heat on my afro. A little hair secrete for the afro girls….if you want to to reduce the amount of heat used when blow drying: wash your hair, apply your leave, put your hair in large two strand twists and let your hair air dry. You’ll get more stretch and hair will dry a lot quicker, therefore reducing your blow drying time. Very important : ALWAYS use a HEAT protector before blow drying your hair. I wear wigs a lot of the time too and what I have seen is when washing them, to put a lid-size amount of jik in the water really helps soften them. Tresemmé really has the best products for hair care though, especially conditioners. I’ve used this before and it was a friends. And it was really great on my hair, it left my usually dry hair with so much moisture. Love it. Well since 2014 I’ve been using castor oil as a conditioner. I use about 50ml and leave it in for about an hour and wash as per usual routine (every second week). I stopped going to the hair salon and invested in my own salon tools as I found that most of the time, the hairdresser misunderstood me. I’ve made A LOT of progress but I know I still have a long way to go. I am very dumb with these things (hair, make up ect). I can not even differentiate between good hair and low quality hair. I normally give my friends money to buy hair for me when they buy for themselves. So you can imagine the struggle of getting the right products for the hair once its within my possession. So the first time I went to Clicks, ready to read through all the different hair brand products’ composition ingredients to see which one would be the best. The Gods were on my side, TRESemmê products were on sale 😀😀😀 I did not want to continue my informed purcjase quest, I bought the shampoo and conditioner!!! Ever since then its been my ride or die hair product. 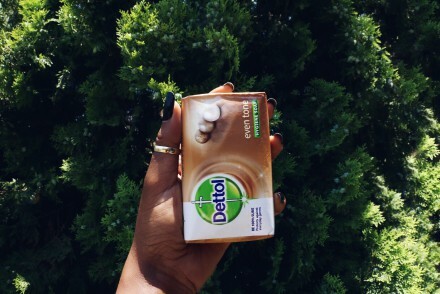 I use also it for washing and conditioning my natural hair. Then I apply Jamaican oil and MPL coconut hair oil (very affordable). They work like a charm on natural hair. My secret to my natural Afro is coconut oil, castor oil and raw Shea butter. From a medical condition I’ve lost a lot of my hair in the front. I’m going through intensive treatment to recover my follicles, my hair gets extremely dry from this and the wigs but since I’ve discovered the magic oils and TRESemme which I use for my wigs as well as my Afro, I’ve been happy. My hair is soft and so moisturized. My hair’s a crown i’d Love to wear fully without hiding out any part of it. I should try this range soon. If i told you my haircare secret it wouldn’t be a secret anymore 😏. To be honest, i have been blessed with really good strong hair & i use store bought products, i just make sure that my scalp is always moisturized. My hair secret is a mixer of a leave in conditioner with water and coconut oil,every evening I spritz my hair with the mixer. Before I cut my hair I braided my hair A LOT. My hair secret was to do treatment at the salon after unbraiding it, then using a mixture of Shea butter, olive oil and coconut oil on my hair every second day. Since I cut my hair I have been deep conditioning once a week using a specific product and moisturizing my hair using Shea butter. I would love to try TRESemmè for my hair since it is growing.